Mon Dieu! Fast Food Now Rules In France : The Salt The French may have a global reputation as gastronomes, but the majority of their restaurant spending now goes to fast food chains, a new survey finds. The change comes amid shrinking lunch breaks and growing laxity among the French when it comes to their famously rigid food culture rules. Fast times on the Champs-Elysees: People walk past a McDonald's on one of Paris' most storied avenues. But it's not just McD's that has caught French interest: Fast food now accounts for the majority of restaurant spending in the country. When it comes to culinary matters, France, in many minds, is synonymous with fine dining. So it might surprise you that, for the first time, sales at fast food chains have overtaken those at traditional restaurants in the country that gave us the word gastronomie. That's according to an annual survey of consumer spending, traffic and other restaurant data conducted by Gira Conseil, a food consultancy firm. The latest survey, to be released in May, found that fast food chains now account for 54 percent of all restaurant sales in France. "In previous years, we could see fast food was gaining ground, but this is the first time it has overtaken restaurants where you are served at the table," Julien Janneau of Gira Conseil told French newspaper Nouvel Observateur. Consumption at casual eateries serving burgers, sandwiches, pizza and other fast food has increased 14 percent in the past year alone, according to the survey. 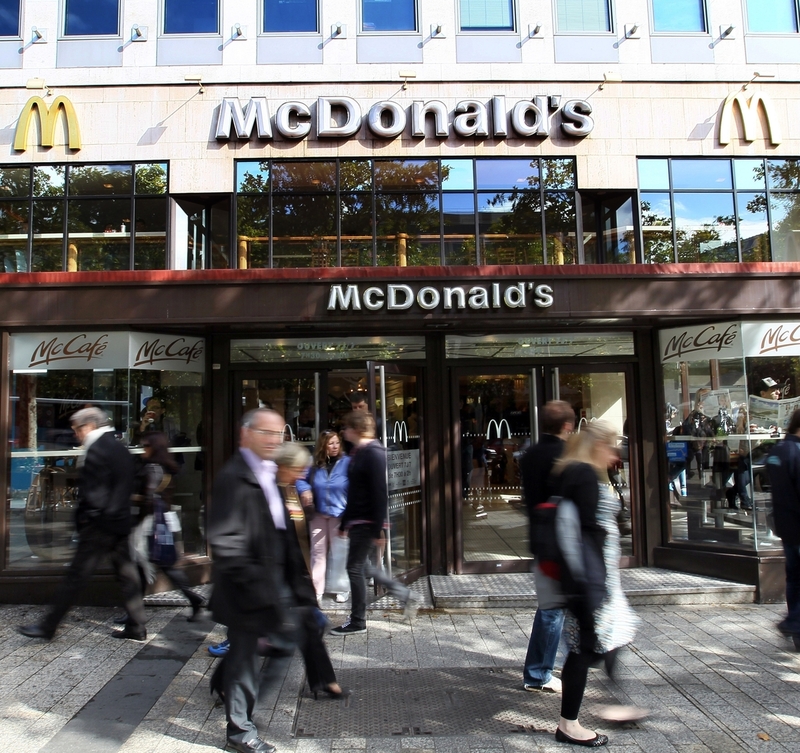 While McDonald's has been in France since the 1970s, many industry observers say it wasn't until the turn of this century that outlets for both American and European fast food chains really began proliferating. The fast food market is now so ripe that Subway says it has opened some 400 stores in the past decade, and Burger King, which shut its 39 French restaurants 16 years ago, recently re-entered the market with great success. "We are the second-biggest consumer of fast food, after the U.S.," Camille Labro, a food writer and regular contributor to Le Monde magazine, tells The Salt. The rise of fast food has come as the French have grown lax about their notoriously rigid food culture rules. Frédéric Maquair, who co-founded Cojean, a Parisian chain of healthy fast food outlets, in 2001, notes that meals never used to be a solitary activity. "Before, people didn't dare go by themselves to a restaurant, eating alone, reading a magazine," he tells The Salt. Nowadays, he and others say, the French have come to see fast food as freedom from the rigid gastronomical rules that used to bind them to sitting at a table, with other people, at specific times, for multiple courses. But there's another, more practical concern encouraging the fast food trend: a shrinking lunch break. The French lunch hour has collapsed from 80 minutes back in 1975 to just 22 minutes, according to a 2011 study by insurer Malakoff Mederic. That, in turn, has hurt business at traditional cafes, where offerings — like the typical 13 euro ($15) multicourse lunch — are still geared toward leisurely eating habits that are, increasingly, a relic of the past. The number of cafes in France has dropped from more than 200,000 after World War II to just 32,000 today, according to estimates from Gira Conseil. "The offer has not changed," says Gira Conseil's Devanne Julien, "but the consumer is different." Cafes, he says, "have not been able to adapt and compete with fast food." Indeed, adaptation has been a key to fast food's success in France — where offerings tend to be healthier than in other parts of the world. There's less emphasis on fried and more focus on fresh ingredients and local tastes. At British chain Pret A Manger, known for its sandwiches, a third of the menu is dedicated to French classics like apple tart and the beloved jambon-beurre, or ham and butter — which might be called the French national sandwich. And as we've previously reported, McDonald's has risen to the top of the fast food pack in France, with more than 1,200 outlets, precisely by fine-tuning its menu to fit the local culture (think grass-fed beef burgers). In 2011, the company even opened a salad-only cafe, called McSalad, which managed to win a begrudging bit of praise from food writer Labro. "The dressing was made with hazelnut and balsamic vinegar," she admits reluctantly, "just like I make at home." But American chains like McDonald's and Subway also attract French fans for the ways in which they depart from local customs — at least when it comes to wait staff, says Labro. French waiters, she says, tend to be "so mean and unserviceable that the American way of doing things in fast food places is almost pleasant." Labro remains a steadfast opponent of fast food, but she can also see why its American-style service appeals to consumers. They'd "rather have an automated experience than a waiter ready to throw food in my face. It's more relaxing."